The writers of No Rerolls like World of Darkness. We’ve all played it together and we all find the background and the game to be utterly fascinating and a thoroughly enjoyable gameplay experience. That said, the World of Darkness is, over various incarnations, very large. This series aims to cast a little light (not too much – that would defeat the purpose) on this series and give a very broad overview of the various games that come under the umbrellas of both the classic World of Darkness and the newer Chronicles of Darkness. Today’s entry will address the overarching questions of “what is the World of Darkness?” and “What are the Chronicles of Darkness?”. Before we begin, I think it’s important to have a quick word about terminology. Chronicles of Darkness is a recent term. Until the recent purchase of White Wolf by Paradox, this was known as New World of Darkness. Many of the books still refer to the series as the New World of Darkness, but for the purposes of easier differentiation, I will refer to this series as Chronicles of Darkness throughout. 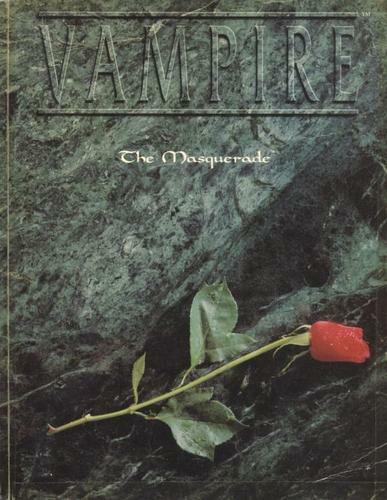 In 1991, fledgling publisher White Wolf released their new game, Vampire: The Masquerade. In this game, the players took on the roles of monstrous vampires, cursed to walk the night for eternity, thirsting for blood and power. Cool, innit? The game was a lot darker and contemporary than a lot of what came before it, and it caught on, both with seasoned roleplayers who had cut their teeth on titles like Dungeons & Dragons, Traveller and Paranoia. It also tapped into the emerging goth culture of the early 90s, reaching a wider audience than just pre-existing roleplayers. In addition to the above, there were also a number of historical lines covering different eras. Most prominent among these was the Dark Ages line, though I always liked the Victorian-themed books. 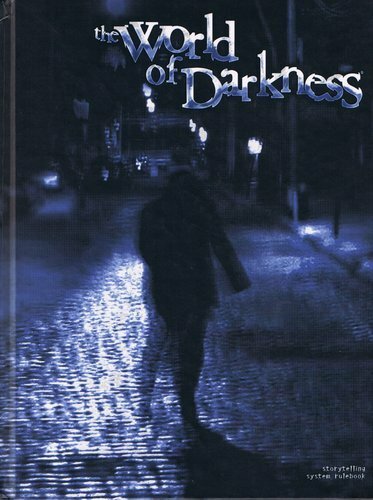 The classic World of Darkness was discontinued in 2004. Not content to let the games peter out on their own, White Wolf literally ended the world, releasing a range of apocalyptic sourcebooks to detail how the end of the world manifested for each of the playable monster types in the World of Darkness. The original series was then replaced with the Chronicles of Darkness. The major thrust of the Chronicles of Darkness range was synergy. Whereas the original World of Darkness emerged organically from a range of different games that kinda-sorta worked together, the new range was planned from the get-go to encourage overlap and crossover. With this in mind, the series launched not with the usual monster-themed games, but with a core book that dealt with mortals facing off against the horror and mystery of the Chronicles of Darkness. Each game has its own themes and ideas and they all have very different feels to them, meaning that although they are based on essentially the same system, they are still unique play experiences. The biggest differences between the two series are, to me, the shift in theme and the abandonment of metaplot. The shift from a punk-gothic horror theme to a more modern gothic feel, in line with the sort of changes we saw in the literary horror genre in the second half of the 20th century as titles like Psycho and American Psycho emerged in place of Dracula or Frankenstein. In terms of metaplot, this represented a massive shift in direction. Whereas the old World of Darkness was a rich world with a story they progressed with each new edition and supplement, Chronicles of Darkness set up the world and then took a few big steps back. They left you to it, really, choosing not to overburden you with the huge and unwieldy amount of story and lore that grew up around the World of Darkness. This was a blessing for those who wanted to put more of their own stamp on their adventures, but a curse for those who loved the stories that White Wolf had built over the past decade-and-a-bit. This was particularly poorly received in relation to the game, Vampire: The Requiem. These posts are intended as a primer for both series of games and will dedicate a post to each title within the series. Each of these posts will deal with an individual game, looking at the themes and idea behind the game, as well as some of the key elements such as the available factions or how the game fits into the larger world in which it is set. I’ll also be including some advice for storytellers and links to any good resources that are available online. Our next few articles in this series will focus on the original World of Darkness as a whole, followed by spotlights on Vampire: The Masquerade and Werewolf: The Apocalypse. Next postNo Rerolls Radio, Episode 3: What Makes a Good Hobby Store?